One of the first private residences designed by John Dobson and built in 1828, The Mitford Estate comprises 5,000 acres of rural real estate encompassing 50 houses and 7 farms. It sits in a superb, elevated site overlooking open parkland towards the River Wansbeck and the ruins of Mitford Castle beyond. The architectural features of the Hall are well documented and in the style of John Dobson have a Classical Greek influence. The entrance façade has a central Doric portico and the property is constructed of mellow sandstone ashlar under a graduated Lakeland slate roof. The reception rooms are delightfully proportioned and feature decorative cornice work and other embellishments. John Dobson paid considerable attention to detail and personally designed the chimney pieces and the iron balustrades for which the house is well known. 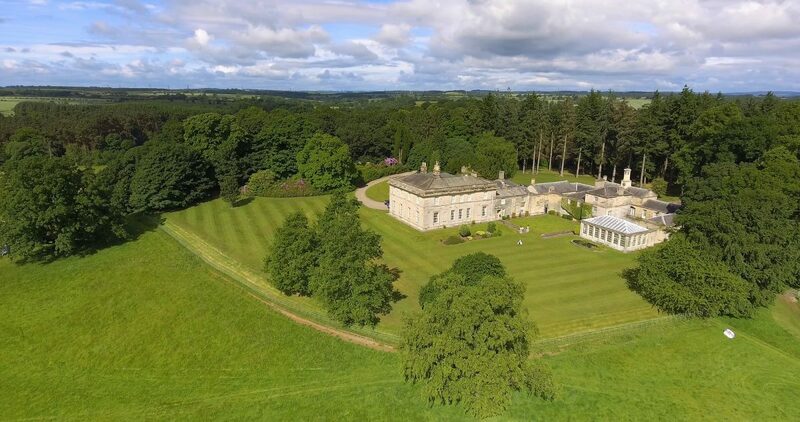 The Hall is approached through a pair of stone pillared entrance gates with a lodge and along a tarmac drive, which culminates in a gravel sweep with a central lawn at the entrance front. The conservatory was also designed by John Dobson and forms an integral feature of the gardens. Well known for the size of the Camelia tree that it houses, the building comprises 7 bays with Tuscan pillasters between the bays and at the angles. The gardens and grounds consist of two main sections: the mature, mixed woodland surrounding the house and the formal gardens. The woodland provides both amenity and seclusion to the hall and features a mixture of mature hardwood and conifers, which have been managed to provide specimen trees. The woodland is traversed by a network of informal works and in the westerly corner of the grounds is situated the Hall’s lake. 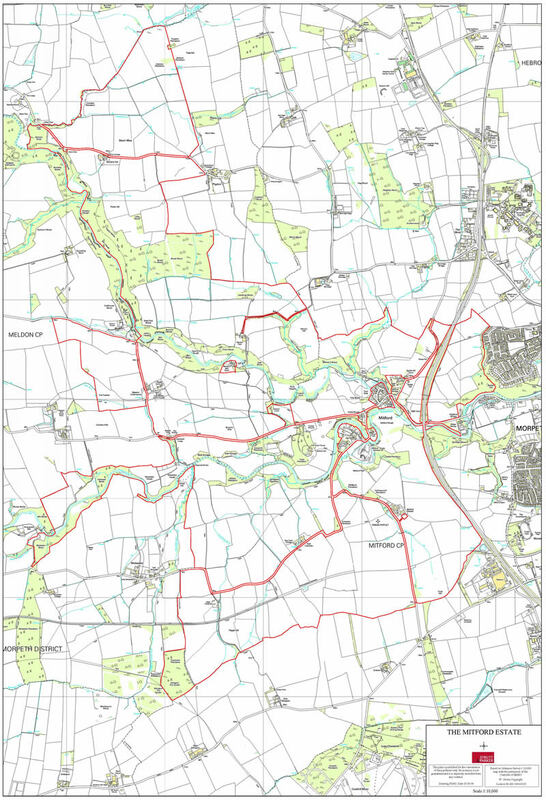 The land around Mitford was originally owned prior to the Norman Conquest by Sir John of Mitford whose name was derived from the site’s location between two fords over the rivers Font and Wansbeck. The Shepherd family purchased the Estate from the Mitford family in 1993 and a large scale programme of restoration and modernisation has been in progress throughout the Estate ever since. Since 2004 and 2005, in partnership with English Heritage, the Shepherd family have begun the restoration and preservation of the Mitford Castle ruins. The two rivers which run through the Estate, the Font and the Wansbeck, are well known trout streams. In recent years the Font has proved to be the most productive of the two rivers and the Fonsbeck Reservoir further upstream is well stocked. A number of trout escape from this source and the periodical letting out of water is of particular advantage in a dry summer. The pheasant shooting has been run by the Estate since 1993 with a full time complement of keepers working throughout the year. A number of birds are reared and release pens are situated throughout the Estate.